Who Pays Taxes on a Trust? The word "trust" is often thrown around by financial planners as a way to reduce or bypass taxes. However, the Internal Revenue Service isn't likely to let you get away with paying no tax at all on income held in a trust. Who pays the tax depends on the type of trust and whether or not beneficiaries are receiving income payments. Two major categories of trusts exist for tax purposes: grantor trusts and non-grantor trusts. The difference depends on whether or not the person or entity that set up the trust -- the grantor -- still controls the assets. In the majority of cases, the grantor controls the assets if he serves as his own trustee. If a separate person or entity is the trustee, you do not have a grantor trust. Revocable trusts are nearly always grantor trusts, as the grantor can change the terms of the trust at any time. Irrevocable trusts are usually non-grantor trusts, but a trust's irrevocability is only synonymous with "non-grantor" status if the grantor has passed away. The IRS sees grantor trusts as extensions of the grantor and consequently of her taxable obligations. Income created by assets within the trust or deposited to the trust is taxable to the grantor. Fortunately, the tax for these types of trusts is fairly simple: the grantor adds the income from the trust onto any other personal income for tax purposes. She completes her 1040 form and state taxes as though she owned all assets directly. If the grantor no longer controls the assets held in the trust, it is a non-grantor trust and pays income tax as a separate entity, like a business. 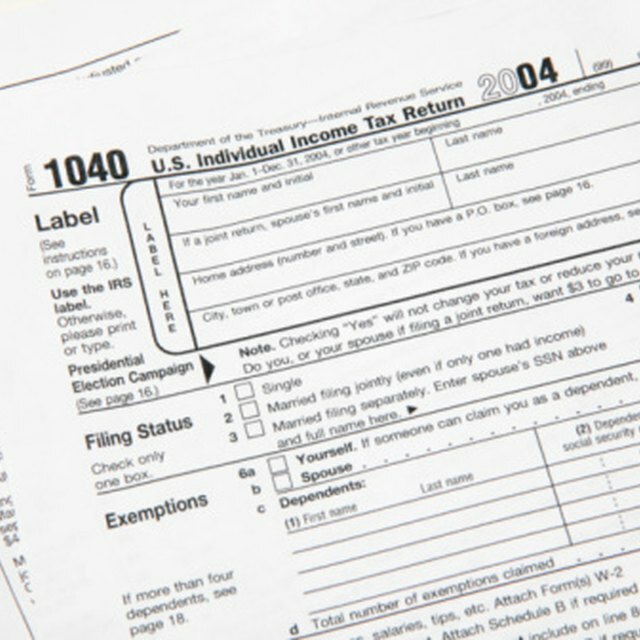 The trustee is responsible for the actual filing of tax forms -- IRS Form 1041 -- and paying the income tax. If the trust passes income onto the grantor or other trust beneficiaries, it can exclude that amount from its taxable income for the year. Trust beneficiaries pay tax on whatever income they receive from the trust. A number of trust schemes t purport to eliminate taxes completely. Be aware that all trusts must pay income tax in one form or another, regardless of the trust document. If you are uncertain whether your trust is following the law, consult an estate planning attorney.